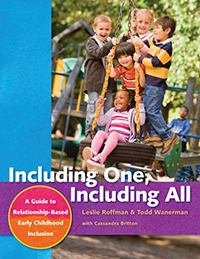 Leslie Roffman holds a degree in early childhood education and has over 30 years of experience in the field. She is cofounder and director of The Little School, a relationship-based, inclusive preschool in San Francisco. Leslie presents at conferences and workshops around the country and is the producer of a training film for early childhood educators.